I’ve had The Itty Bitty Baby Dress Pattern by Made By Rae bookmarked in my browser since 2009 when I first saw it on Film in the Fridge. Luckily I’m glad that I remembered it when I was thinking about something to make for my niece for Easter. I went with the slightly bigger size because I wanted her to be able to wear it once it warmed up. I did french seams for the sides of the skirt to keep it from fraying. 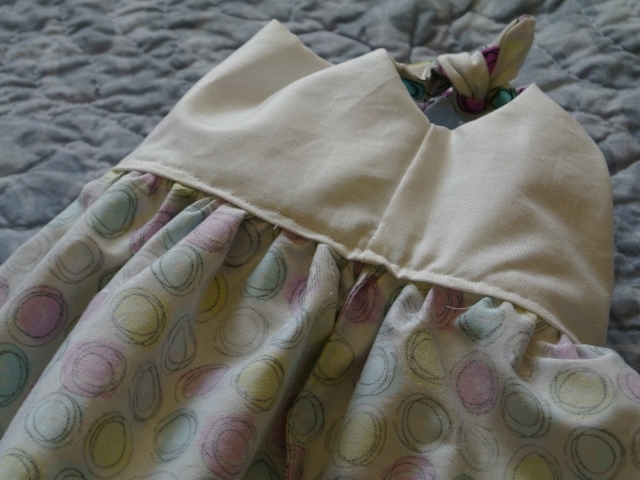 I also used the lining to cover up the stitches from attaching the bodice to the skirt because I didn’t want anything to be irritating for her sensitive skin. I used lime green piping and 1/4 inch hem tape to finish off the dress. 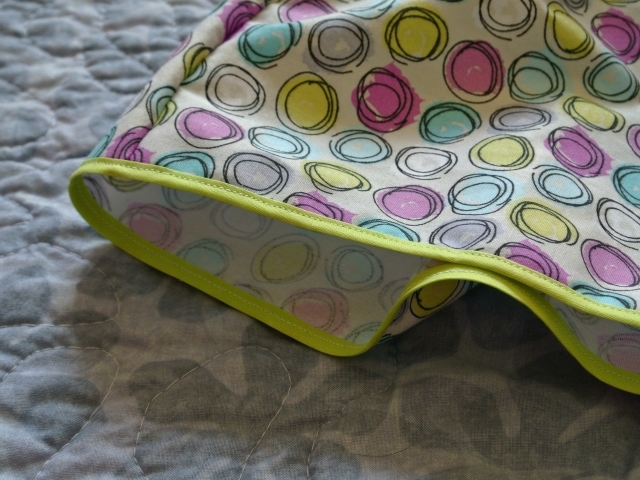 It is a great project for using cute bits of fabric that you have been hording because it only takes 1/2 yard of fabric. I was hoping to get a photo of Lindsey wearing it, but she was being a bit fussy. I’ll have to play dress up with her another time. 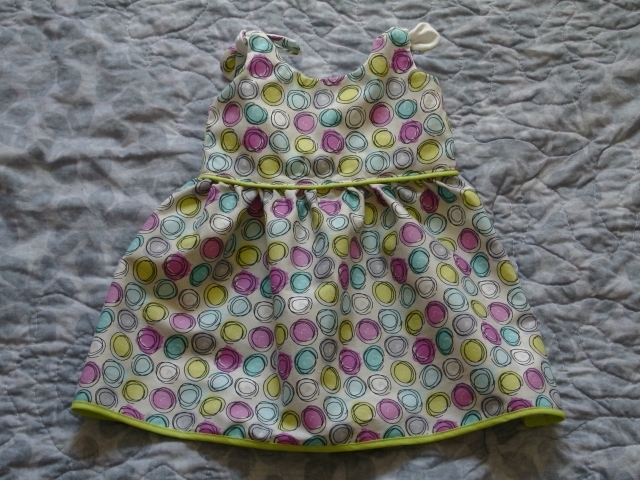 This entry was posted in baby, crafty, gifts, holiday-crafting, sewing and tagged baby, baby clothes, dress, Sewing.